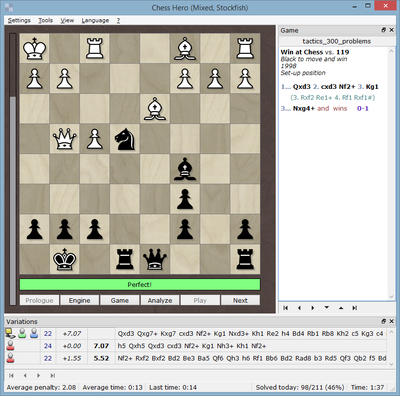 My first move was Nf2+, resulting in a penalty of 5.52 pawns. 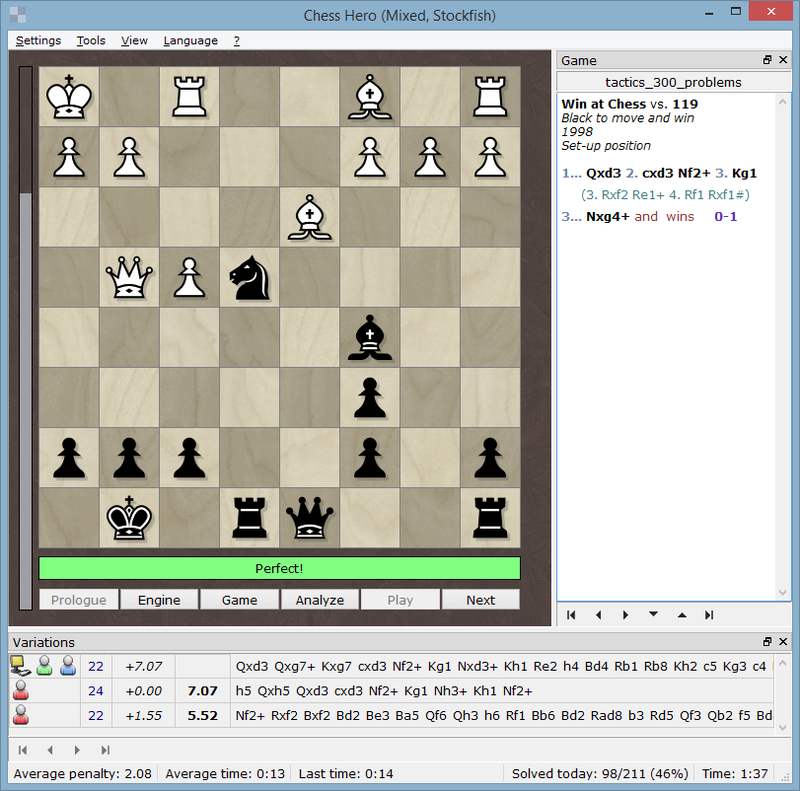 You can configure the program to accept moves below an arbitrary penalty threshold (by default it is set to 0.25 pawns). Next I played h5, but that was another 7.07 penalty. At last, I got it right with Qxd3. fixed a bug that caused the program to start multiple instances of the engine when minimizing/restoring the main window.